We just learned that ZTE has its eyes set on bringing LTE smartphones to the US market next year, but where does the Chinese company stand on tablets? The company announced at this spring’s CTIA that a 10-inch slate with the high-speed connectivity was in the works and would land sometime in the second half of 2011. Despite unveiling tablets for non-US markets such as the Froyo-packed Light Tab 2 and Tegra 3-powered T98, the manufacturer’s been awfully quiet about this March’s announcement. 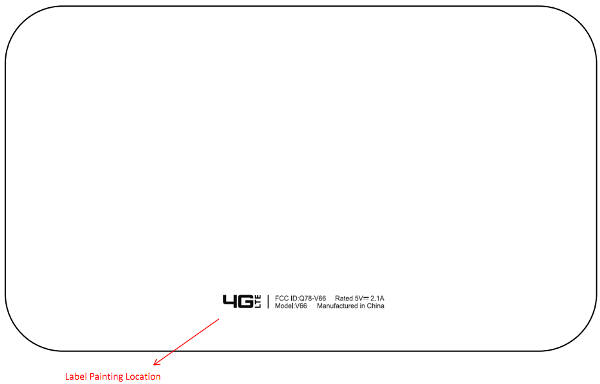 That all changed today, however, as this 7-inch LTE tablet waltzed through the FCC approval process. The V66, as it’s currently known, not only sports LTE band 13 — Verizon’s flavor of “4G” — but it even shows Big Red’s LTE logo on the back. ZTE actually outed the V66 at a Beijing tech expo in September, proclaiming that it would come with a 1.2GHz dual-core CPU, Android 3.2, a 1,280 x 800 display, 1GB of RAM and a 4,000mAh battery. Of course, FCC approval doesn’t guarantee availability, and we’re thinking that the chances of arriving before the end of the year are pretty slim. Check out the extra pic after the break. 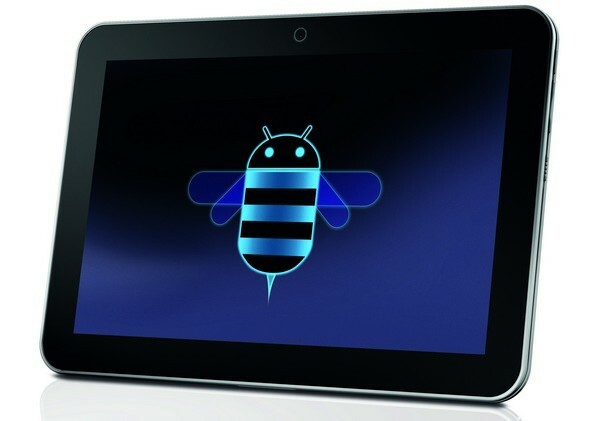 ZTE squeezes 7-inch V66 tablet with Verizon LTE through the FCC’s halls originally appeared on Engadget on Thu, 08 Dec 2011 17:25:00 EDT. Please see our terms for use of feeds. We’ve already heard a fair bit about Toshiba’s forthcoming 10.1-inch Honeycomb tablet, but the company has only now finally confirmed a name — Excite, previously seen in a trademark filing — and a launch date (or month, anyway) for the tablet outside of Europe. You can look for it to roll out for an as yet unspecified price sometime in January — in Canada, at least (though we’d presume a US launch will be around the same time). It will come in both 16GB and 32GB versions, each of which pack a 1.2GHz dual-core OMAP 4430 processor, a 2 megapixel front-facing camera, a 5 megapixel cam ’round back, and a microSD card slot and a micro HDMI port. Toshiba also boasts that it’s the “world’s thinnest, lightest tablet,” with it measuring just 7.7 mm thick and weighing in at 558 grams (or 1.23 pounds). Toshiba’s Excite Honeycomb tablet confirmed for Canadian launch in January originally appeared on Engadget on Thu, 08 Dec 2011 17:10:00 EDT. Please see our terms for use of feeds. ZTE’s no small company by any stretch of the imagination, but it’s still largely an unknown in the US. The phone manufacturer has been focused on selling lower-end devices in the prepaid market — often with carrier-specific branding — but is now hoping to steer the ship in a different direction. In an interview with the Wall Street Journal, North American president Lixin Cheng mentioned the company intends to bring LTE-capable high-end smartphones to the US at some point in the middle of next year. While he didn’t cough up details on availability, he said that the vendor is in talks with all four of the country’s national carriers and would likely be based on either Android or Windows Phone. Cheng also stated that he expects the US to be ZTE’s “largest market for handsets” by 2015. Lofty goals, of course, but definitely reachable. ZTE expects to launch high-end LTE smartphones in the US by mid-2012 originally appeared on Engadget on Thu, 08 Dec 2011 16:51:00 EDT. Please see our terms for use of feeds. This entry was posted on December 8, 2011, 5:47 pm and is filed under Mobility. You can follow any responses to this entry through RSS 2.0. Both comments and pings are currently closed.